The CRC in Clontarf in Dublin. 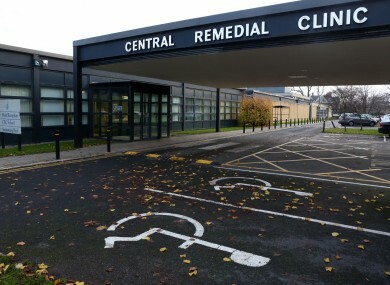 THE CHIEF EXECUTIVE of the Central Remedial Clinic has resigned following the controversy over fundraising money being used to pay salary top-ups of senior staff. Chief Executive Brian Conlan is to leave his position with immediate effect and will be temporarily replaced by board chairman Jim Nugent. The board of the CRC has, with regret, accepted the resignation of Brian Conlan as CEO with immediate effect. The board thank Brian Conlan for his commitment to and support of the CRC. His many years of service on the Board are greatly appreciated. We wish him continued success in the future. Conlan himself did not receive any salary top-ups but his predecessor Paul Kiely got a top-up of €135,000 on top of a basic salary of €116,000. The CRC became embroiled in the ongoing top-ups scandal in health when it was revealed by Shane Ross TD in the Oireachtas Public Accounts Committee that the clinic had access to funds of the registered charity ‘Friends and Supporters of the Central Remedial Clinic’. The CRC subsequently admitted that monies from the Friends and Supporters group “have also been used to pay any additional salary amounts over the Department of Health’s consolidated pay scale”. The revelation led to calls from politicians and charity groups for the CRC to provide additional clarifications on how the payments took place. Those directors who approved his appointment have serious questions to answer. Mr Conlan’s departure should be followed by a clean out of all directors in office at the time of the top-ups. The statement from the CRC gives no reason for Mr Conlan’s resignation after only a few months in office. The public are entitled to know the circumstances. Ross said that the appointment of the next CRC chief executive should be publicly advertised and chosen by an external agency. He added that it was “imperative that that all the relevant board members come before the Dáil Public Accounts Committee immediately”. The board will work closely with the senior management team and staff to ensure a positive future for the CRC, its service users and staff. “In addition, Joan Hurley will fulfil the position as operations director in the day-to-day management of the clinic and will coordinate the senior management team,” the CRC statement read. Email “CRC chief quits in the midst of charity top-up scandal”. Feedback on “CRC chief quits in the midst of charity top-up scandal”.